On Friday night, I went indoor climbing for the first time since my teenage years. The indoor climbing hall measures 55 feet and never before had I managed to reach the top. I’m afraid of heights. Not so much that I avoid heights altogether but enough to be intimidated at the prospect. 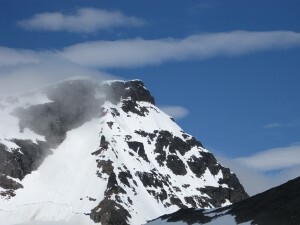 Over the summer, I climbed Sweden’s highest mountain Kebnekaise which measures 2106 metres. There are two routes up the mountain. The western route is a (very long) walking path that gradually increases in height, and where one has to essentially climb another mountain first before climbing Kebnekaise. The eastern route can only be taken with a guide (or enough experience & gear of your own). 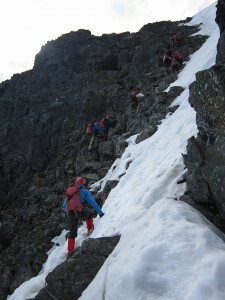 This route includes crossing a glacier and climbing (Klettersteigen) 150 metres. We chose the eastern route. I made it to the summit and back. Climbing up was fun; climbing down was terrifying. We started at 7.30 in the morning and were back around 18.30 in the evening and had less than 40 minutes break in total that day. 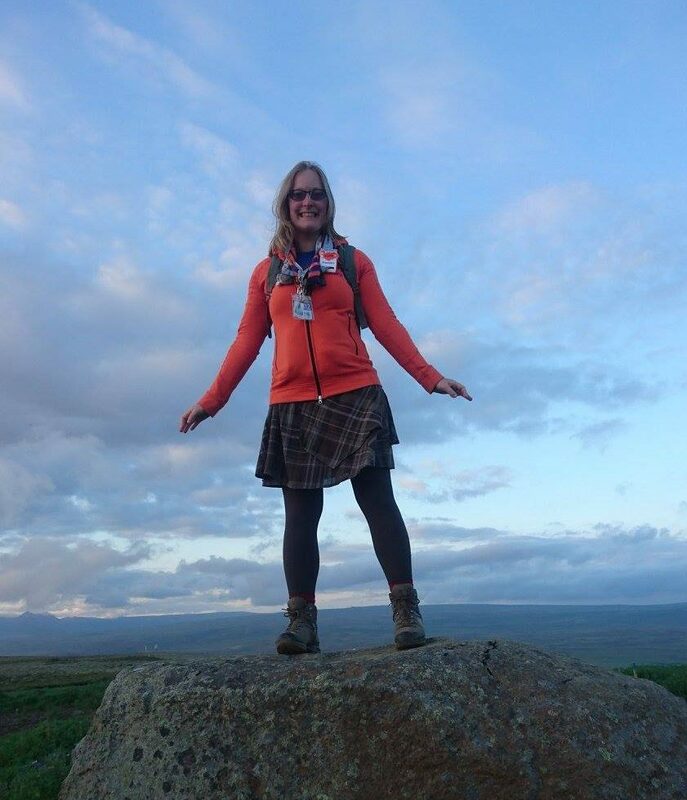 Due to walking 19 kilometres the day before, and the exhausting day climbing the summit and descending back to the mountain station, I was spent that evening & the day after. It was a physical challenge but I succeeded. After climbing Kebnekaise, climbing 16,5 metres (55 feet) in an indoor climbing hall ought to be easy, you’d think. It isn’t. The first time I tried, just after I changed and while everyone was still gearing up, I barely made it 10 feet. 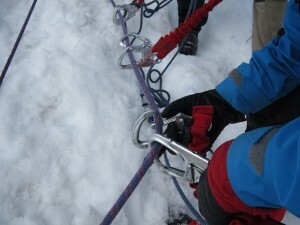 The second time, having watched others climb, I climbed to the top. There are different routes, marked by colour and a number indicating the difficulty. The only way I could possibly manage was climbing rainbow: using all the colours indiscriminately. But at least I climbed! Having managed once, I knew I could do it again. So over the course of the evening, I reached the top three times and climbed about five times. By the end, my arms had started to tire and although I wanted to go on, I could not find the strength in either my legs or my arms to climb further. I conquered something though: I went in expecting not to make it (since I had never made it before), but I did it anyway!